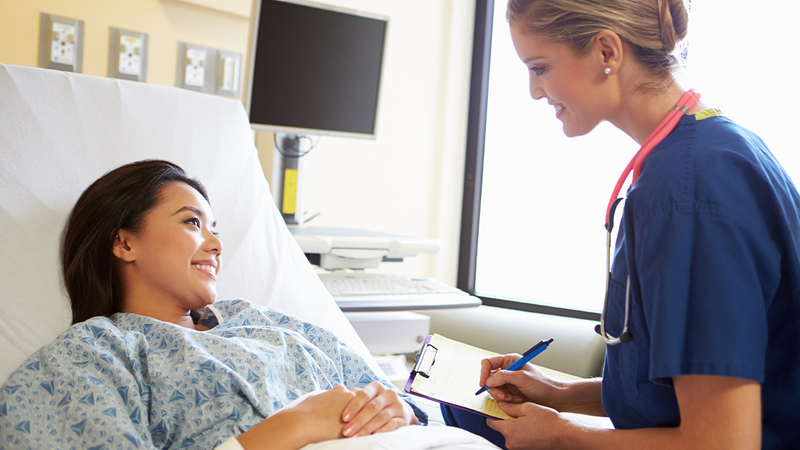 Progressive care units are common in many hospitals in the United States and the American Association of Critical Care Nurses (AACN) offers specialty certification in progressive care nursing. Knowing more about progressive care and how it differs from intensive care can help you determine if it is the right specialty for you. Progressive care: Also called a step-down, intermediate care, transitional care, or telemetry unit, it is a transitional level of care between the ICU and a med/surg floor. Patients still need a high level of skilled nursing care and medical surveillance, but not as much as provided in the ICU because their conditions are more stable. The nurse-to-patient ratio is higher than in an ICU but lower than a general med/surg unit. Intensive care: These units care for the most critically ill patients who are unstable and need intensive nursing care and surveillance, may be intubated or on ventilators. They require 1-to-1 care (1-to-2 nurse-to-patient ratio is maximum in an ICU). Progressive care units (PCU) are growing in popularity in hospitals because they can provide safe care that is also cost effective for the healthcare organization. While they may have different names, their core function is similar across all hospitals. PCU units range in size from 12 beds or less to more than 30 beds. A closer look at the condition of the patients who are admitted, or transitioned, to progressive care units is provided by the journal Critical Care Nurse. The journal says that PCU patients can be described in terms of the “stability of their condition, their risk of a life-threatening event, their need for invasive monitoring, and their ability to participate in their care”. When compared with patients in the medical-surgical unit, patients in the PCU are generally considered to have an increased risk of their condition becoming unstable or of experiencing a life-threatening event. When compared with patients in the ICU, PCU patients can generally be described as having greater stability, a lower risk of a life-threatening event, less need for invasive monitoring, and a greater ability to participate in their care. Current unencumbered licensure as an RN or APRN in the U.S.
Option 1: Practice as an RN or APRN for 1,750 hours in direct care of acutely ill adult patients during the previous two years, with 875 of those hours accrued in the most recent year preceding application. Option 2: Practice as an RN or APRN for at least five years with a minimum of 2,000 hours in direct care of acutely ill adult patients, with 144 of those hours accrued in the most recent year preceding application. As the number of progressive care units expand in hospitals across the US, so will the need for progressive care nurses. The U.S. Department of Labor says that the aging population in the US will create an all-time high demand for nurses of all specialties. If you are interested in becoming a certified progressive care nurse, now is the perfect time with projected great job growth and career potential existing now and into the future.